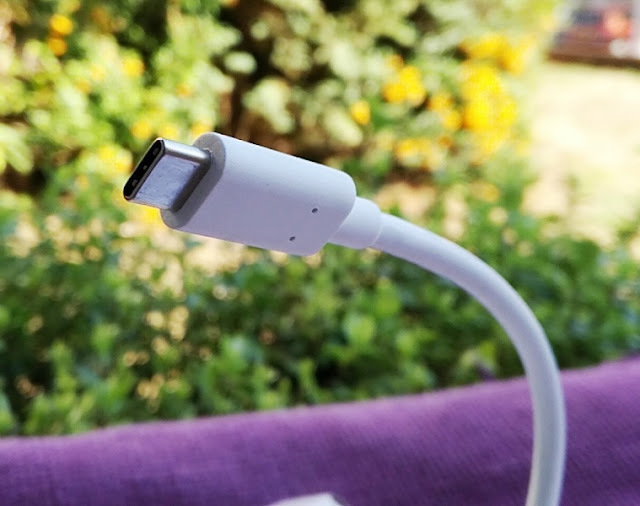 The hope is that in the future most devices will support USB Type C. Everything from phone, to your monitor, to your mouse can all use the same port to charge, transfer files and output video/audio. While "multiport dongles" are just a temporary solution until the implementation of the "one port" solution, multiport dongles are useful devices to have at hand because multiport dongles let you upgrade the functionality of your workstation by expanding the number of ports of your desktop PC or laptop from a single a USB port without having to upgrade the hardware. 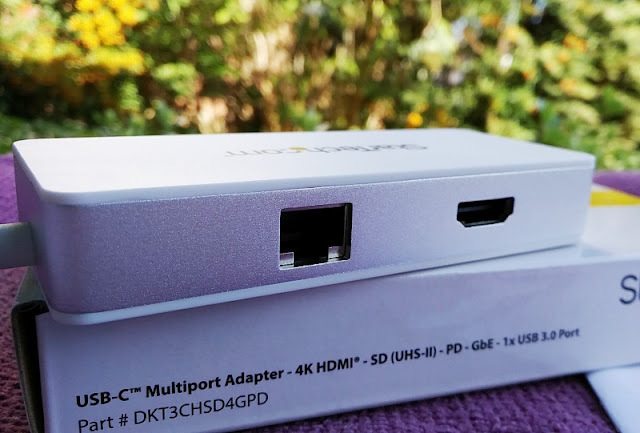 There are different types of multiport dongles but USB Type C multiport dongles are definitely the best investment because the USB Type C connection will become the future standard for all devices to do everything from the same USB-C port; hence it is a good idea to buy USB C enabled hardware. 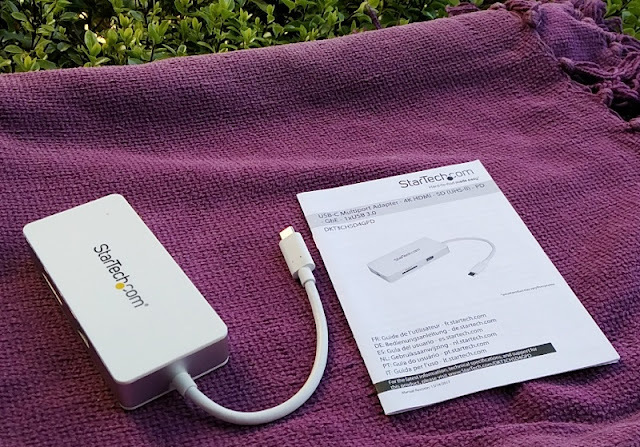 With a multiport dongle such as the StarTech USB-C multiport adapter, you can power devices and charge devices via 100W Power Delivery. 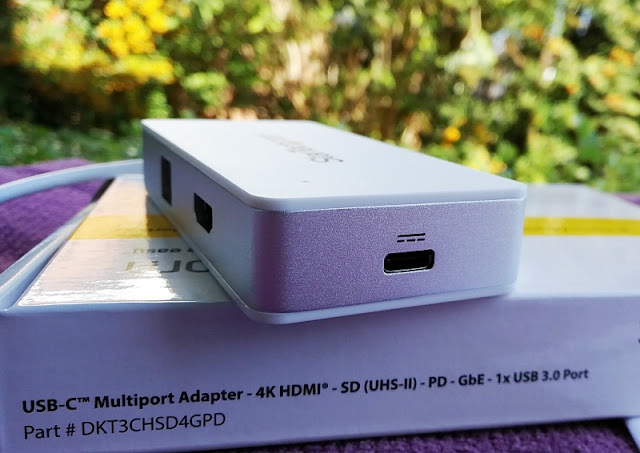 You can even connect this multiport adapter to a Thunderbolt 3 port as it is compatible. 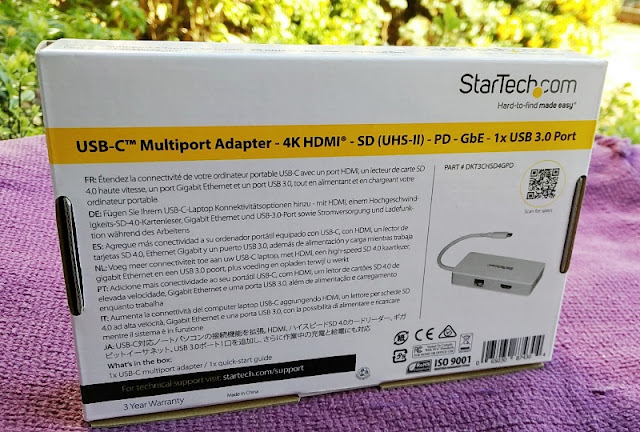 The StarTech USB-C multiport adapter also lets you output 4K Ultra HD via HDMI, access data from memory cards via a high-speed SD 4.0 card reader, connect your laptop on a network over a Gigabit Ethernet wired connection and transfer digital data over USB 3.0 connection, all from a single, compact device. 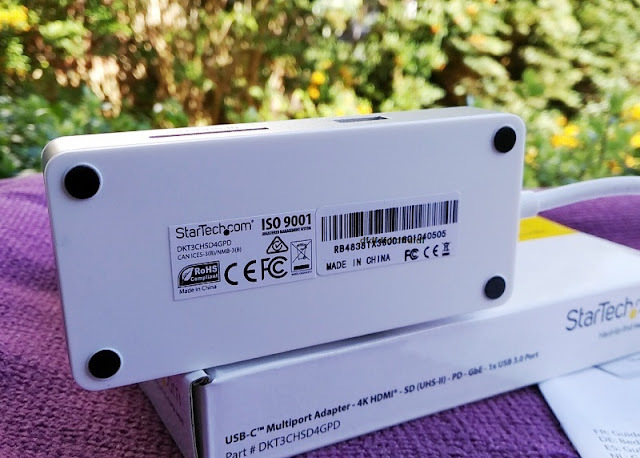 Any workstation can always benefit from more connectivity and because the StarTech multiport dongle lets you connect to a wired network via 1000 Mbit/s Gigabit Ethernet speed your local network will run faster especially since "jumbo frames" are supported which help speed up the network and reduce your bandwidth usage. Make sure though that you use high speed Ethernet cables which are at least Cat 5e or Cat 6. 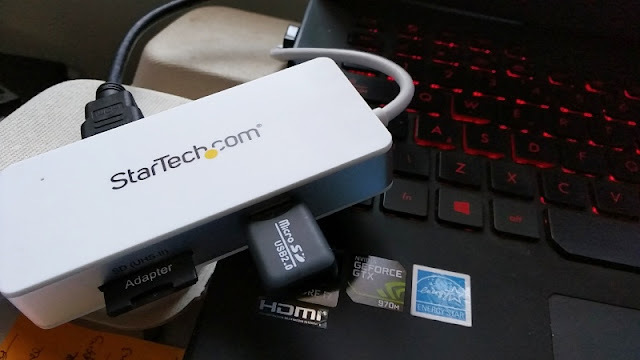 Speaking of networks, the StarTech USB-C multiport adapter also supports VLAN tagging so you can have multiple networks. 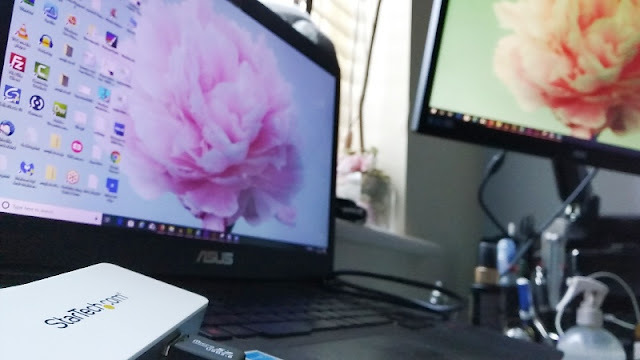 It also supports Wake-on-LAN (WOL) which means you can turn your computer on remotely whether it's hibernating, sleeping, or even completely powered off. 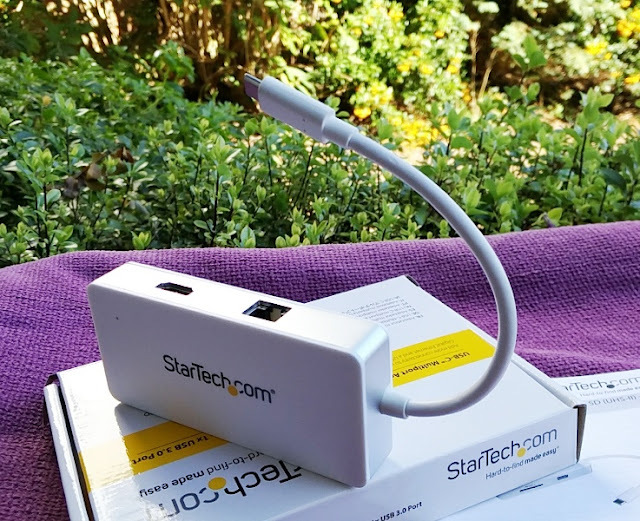 The StarTech USB-C multiport dongle also complies with the Energy-Efficient Ethernet (EEE) standard so the power consumption per port is not only decreased significantly but the bandwidth / throughput remains the same without transitioning to a lower speed. 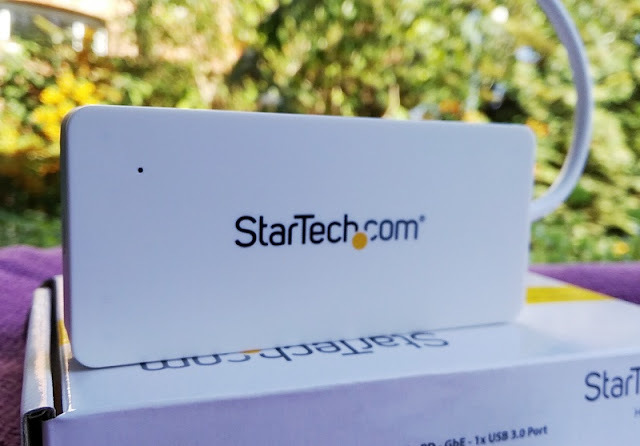 The StarTech USB-C multiport dongle SD card reader slot integrates Ultra High Speed (UHS) II interface which give you speeds of up to 300MB/s Read and 260MB/s Write. 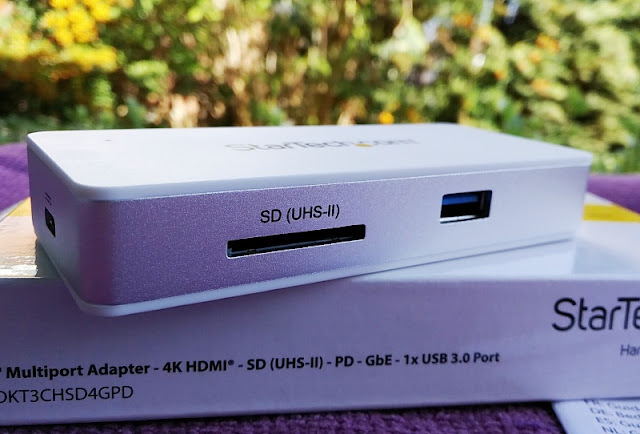 The SD card reader slot supports both SD UHS-II cards and microSD (with adapter) memory cards as well as older SD cards (SDHC/SDXC) as UHS-II is backwards compatible. 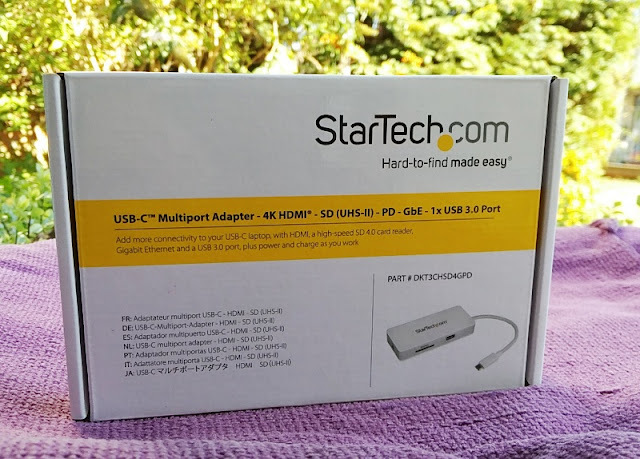 The StarTech USB-C multiport dongle is compatible with Windows 7, 8, 8.1, 10, Mac OS 10.11 to 10.13 and Chrome OS. 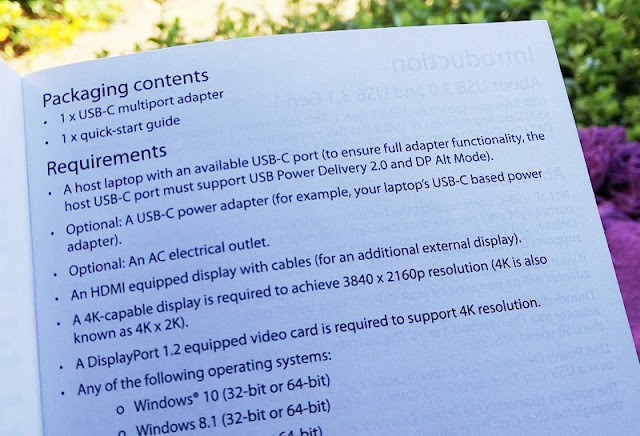 It's also worth noting that your laptop USB-C port has to support USB Power Delivery 2.0 or it will not pass power through. Also, your monitor has to be 4K-capable to achieve 3840 x 2160p resolution and be equipped with a DisplayPort 1.2 video card to achieve 4K resolution.